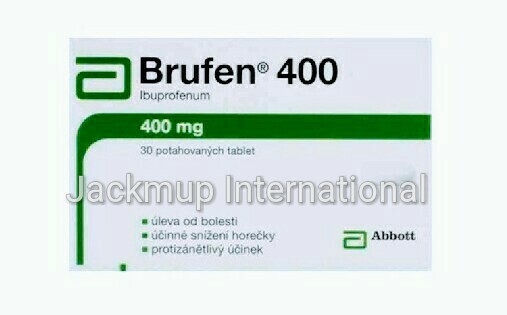 Description:- Brufen tablet is used in fever, headache, arthralgia, myalgia, dental pain, post operative pain, pain during menstruation, osteoarthritis, rheumatoid arthritis, ankylosing spondylitis and gout.It is a non-steroidal anti-inflammatory drug (NSAID). It works by blocking the release of certain chemical messengers that cause fever, pain and inflammation (redness and swelling). Severe liver or kidney problems.Heart failure or other heart problems. High cholesterol.Stomach ulcer,perforation or bleeding due to NSAIDs. Systemic Lupus Erythematosus (a condition of the immune system affecting connective tissue resulting in joint pain, skin change and disorders of other organs).